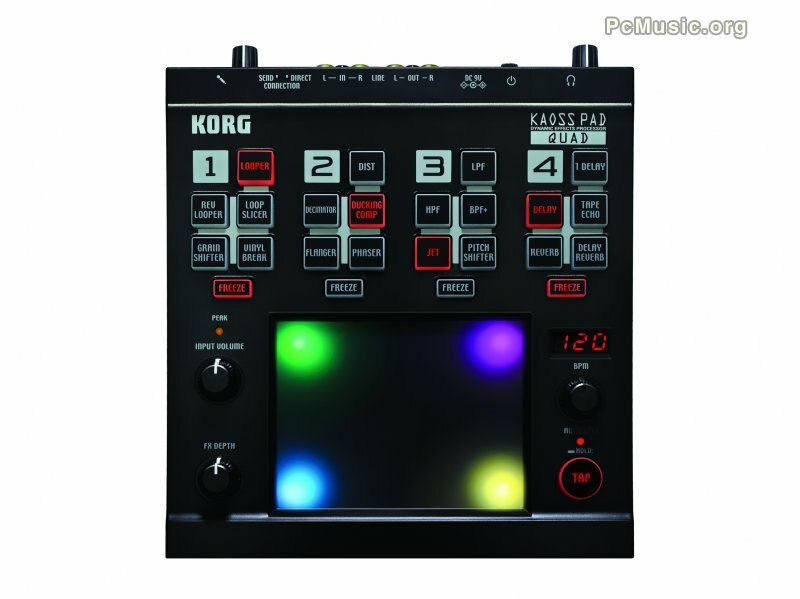 Designed to be both usable and highly playable as an effect processor, the Kaoss Pad Quad allows the user to simultaneously control up to four effects from the touchpad. Each of the four effect modules – Looper, Modulation, Filter and Delay/Reverb – contains five options (plus a module kill), for a total of 1,295 combinations. Effects are chosen directly from the front panel for easy access during live performance. By rhythmically adding successive effects, or switching effects on and off as a song progresses, the Kaoss Pad Quad can add variation and development to the structure of any song. Even the simplest beat can be creatively affected to produce something entirely new.